Yesterday we exclusively reported on a new BMW TV commercial that features the new Vision ConnectedDrive Concept. The filming took place in Berlin, but no other details were available. Today, a spy video emerges showing the latest BMW concept rolling down the Berlin streets giving us a chance to hear the silent engine hidden underneath the hood. BMW has never officially spoken about the engine in this car since the focus of the new Vision Concept was on the latest ConnectedDrive technologies and their use within the car. 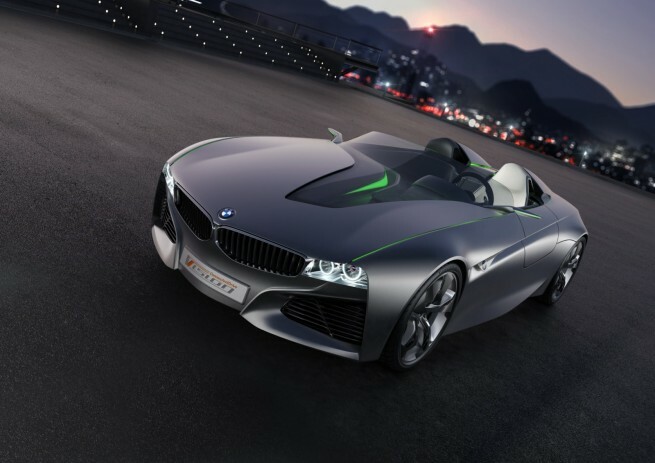 According to BMW, the car’s design has been somewhat “downplayed” since the company wanted the attention to fall on the technology rather than the futuristic design lines. The new concept is meant to showcase future technologies and advancements in the mobility field. The design and technology of this spectacular roadster are aimed at making the vehicle an integral part of a networked world.